Envy prides itself on top notch, unparalleled customer service. The envy girls are always searching out the latest trends and willing to push the fashion envelope. 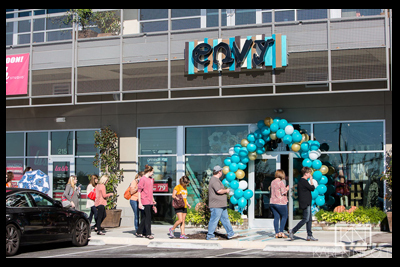 Greeted with smiles, yummy smells and an ambiance that will make you feel right at home, envy is the perfect place to shop for mom, daughter, grandma and even the guys sometimes! Envy offers a true personal shopping experience for all the girls in your life. Each envy stylist believes that the right fashion can positively impact a woman's outlook on her appearance and gaining confidence to conquer another day! Dedication, honesty and passion are the key traits embodied by the envy girls. The envy displays are unique and eye catching while the envy product mix is exciting, fresh and always changing! Shop envy for unparalleled customer service, unique and edgy daywear, dazzling jewelry, fashionable accessories and shoes, and trendy gifts. Envy is seeking creative fashion lovers to join the growing team of boutique owners. Not only are you buying a business with envy, you are buying a lifestyle. Click here to find out more about our 'store culture'. Click here if you are ready to begin the process of owning your own boutique!